A woman with the ability to enter people’s dreams is hired by a wealthy man to help his comatose wife regain consciousness. Wake is a feature length film about Quinn Deveraux, a young woman with the ability to enter people’s dreams. Quinn is contacted by Samuel Tremond who asks Quinn to use her ability to contact to his wife Mary. Mary has been comatose since an unsolved accident one year ago and her family have won a court order to have her taken off life support. Quinn is initially hesitant but after the death of one of her clients she agrees to help Mary. 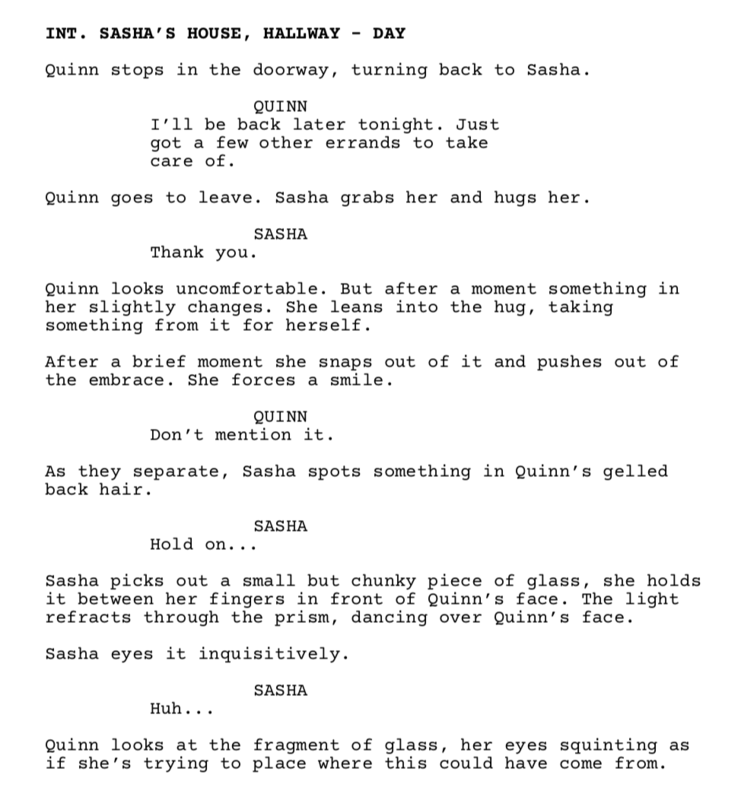 Quinn explores the mystery surrounding Mary’s assault both in the real world and inside Mary’s psyche. She is stunned by the realism of the “dreamworld’, a world where Quinn takes on the role of an FBI Agent investigating a series of brutal murders committed by Mary. As the time Quinn spends in this world grows it becomes increasingly difficult for her to be certain which world is the real one. One by one the layers of secrets and lies will be revealed, and Quinn will be forced to question everything she has learned about Samuel, Mary and herself. Wake is a thriller in the vein of films like Mulholland Drive and Perfect Blue. A film in which reality and dreams ebb and flow into one another seamlessly. Thematically the film tackles issues around mental health and looks at fractious family relationships and how they can exacerbate these conditions. "YOU'RE SINKING QUINN. INTO A WORLD WITHOUT LIGHT."